Why Lift Tanks when the rack does it? Please see the video below of the Custom Hydraulic Tank Rack aboard an Intrepid 40. 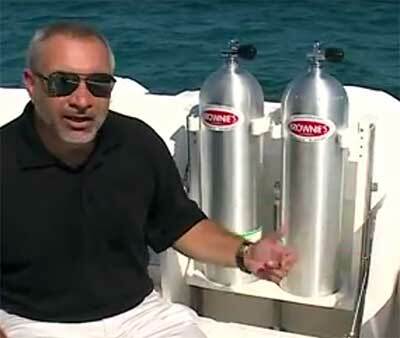 Brownie's YachtDiver is proud to support Intrepid with our tankfill and on board dive systems. Go to the Tankfill Pages for examples of other Tank Rank installs, Tankfill Systems, Compressors, Custom Dive Rooms and more.